According to one Beverly Hills–based dermatologist, your skincare products are lying to you. Perhaps lying isn’t the perfect word. But in Dr. Zein Obagi's opinion, whatever you’re using isn’t working. “We have to change the concept of skincare,” Obagi tells me, as we sit across a well-manicured brunch table at the Ritz-Carlton Hotel in Dana Point, California. "Currently, skincare products either are scientific (but they tweak the research to make certain claims), or they aren’t scientific at all, and we are seeing negative effects.” According to Obagi, “the rate of satisfaction for many brands is zero.” He aims to be the exception. If you recognize Obagi’s name, you might already be familiar with his products—at least his old ones. Ten years ago, Obagi's over-the-counter skincare line most likely sat on your mother’s bathroom countertop. Perhaps you stole pumps of moisturizer or facial sunscreen. But in 2006, Obagi got out of the regular retail skincare business. He no longer believed in it. In the years since, Obagi has hunkered down to develop a revolutionary skincare brand unlike anything you can find at your average beauty supply store. Going to a mall for skincare products is like going to the gym to treat a serious stomach virus, says Obagi. “You cannot have a disease and say ‘I’m going to go to the gym to fix it,’” he tells me. “You have to go to a doctor.” Obagi’s new line is called ZO Skin Health, and he says it’s the future of intensive skincare. Earlier this month, I traveled to Dana Point to attend a ZO Skin Health faculty conference. Dozens of attendees, from dermatologists and developmental scientists to marketers, gathered at the Ritz to see Obagi present the latest findings and results from his treatments. I can say for certain that I’ve never seen an approach to skincare as zealous and assertive—almost mad scientist–esque—as Obagi’s. I’ve also never seen before and after photos more graphic or results more staggering than those he presented at the conference. (See some of the photos in this video.) Disfiguring scar tissue, deep pigmentation, wrinkles, rosacea, sagging skin—with Obagi’s new techniques, he is able to eradicate all of these conditions and more. And he’ll be the first to tell you that his results are one of a kind. What is Obagi’s secret? And how can you gain access? To learn about this sobering new approach to skincare, keep reading. The ZO Camp's philosophy states that you can’t buy visible skincare results over the counter or DIY them in your kitchen. The fact that we all believe in these remedies is pure marketing, says Obagi. “Currently, the concept of skincare is to make the product available to everyone,” he explains. But skincare is different from makeup or hair styling—according to Obagi, it’s a medical concern. “Before you start spending thousands of dollars through the years buying products that don’t work, go to a doctor,” he says. What Obagi’s new services do that over-the-counter treatments cannot is control skin at the cellular level. “This is a novel idea in itself and has never been done before,” he tells me. “By doing the right combined procedures, we can control the cells, put them back to work, and renew the whole skin.” Obagi says that for the first time, he and his team are treating skin as a living organ. “The old way of thinking was that skin is a wall,” he says. “That is wrong. You have to go into the skin, like a heart, and make it a functioning, strong, living organ.” Once all the cells are working at peak function, then you can correct any deficiencies. Obagi has seen remarkable success from his new treatments on an array of skin conditions, including acne, hard scars, dark pigmentation, skin looseness, and deep wrinkles. Thanks to his presentation at the conference, I have witnessed these results firsthand. Obagi’s new treatments come in two stages: prepping the skin at home with an intensive regimen of products, and then treating it with a combined procedure in-office. “You have to get the skin ready to do the procedure,” he says. “It’d be like asking someone to run a marathon if he’s never trained in his life. You need to train someone to run a marathon. Same thing with the skin.” According to Obagi, our skin cells tend to get lazy over time. These at-home treatments wake them up, preparing them for his intensive in-office procedures. Obagi’s daily recommended routine consists of the following components: cleansing, exfoliating, toning, and treating with serums and masks catered to a variety of different concerns. Depending on your skin type, you might also need a step for calming and hydrating. And of course, sun protection is key. Some of these at-home products are available on the brand's website and at specialty ZO Skin Centres, which they are currently developing all over the globe. Other products are only accessible with a prescription (these are labeled “ZO Medical”). So far, the line contains 44 products in total. Once you’ve been on your at-home regimen for six weeks, you are ready for in-office procedures. These consist of a lactic acid peel to tighten the skin, followed by a resurfacing laser treatment. Any hard damage that the acid can’t reach, the laser will wipe out. “Think of the laser as sandpaper—I’m sanding away the damaged tissue on the surface,” Obagi says. His new laser is a breakthrough compared to the technology that came before, which could only improve skin 10% to 40% at most, he says. This new combined procedure restores both smoothness and tightness: an anti-aging double whammy that can cure conditions, often with 100% success. Without a doubt, Obagi’s approach to skincare is aggressive. And those who follow it are steadfast believers. “The best thing you can do for your skin is to wake up and have your spouse slap you in the face,” Obagi announced to his room of conference attendees. The irony in his voice was scarcely palpable. After day one of the conference, I attended a faculty happy hour packed with employees in their 30s, 40s, and 50s, many of whom had been on Obagi’s products for decades. “You need to start treating those freckles now,” one female skin specialist told me, as she sipped a frosty pink daiquiri. “You need to be put on a strong Retin-A.” I tried not to feel offended as I scanned her face. It was impossible to tell how old she was. Her skin glistened, like glass. She just wanted to spread the message, I figured. “When you visit Dr. Obagi, he will ask you, ‘Are you aggressive about your skin?’” a 38-year-old ZO employee told me, a half-empty champagne flute in one hand. “If you are not aggressive, there is nothing he can do for you.” The lower half of this woman’s face was peeling off like a sunburn—the last remaining side effect from undergoing one of his peels five months prior and continuing treatment with a prescription Retin-A. (Peeling, redness, and mild stinging are all common side effects of Obagi’s treatments.) “I used to have huge dark spots and sun damage all over my face,” she said, furiously scrolling through her phone to find a before photo. “Do you see a single freckle on me now?” It was true—peeling aside, her skin was completely clear. For argument’s sake, let’s say you are aggressive. Let’s say you have acne or sun damage, and you want a whole new face within a year. How can gain access to ZO’s treatments? And how do you know for sure that they’re right for you? Obagi describes the start-to-finish ZO Skin Health experience like this: First, do a quick search on the brand’s website to find an authorized ZO dermatologist. You’ll go in for an evaluation, where the doctor will diagnose your skin type, any major concerns, and your best solution. “Not everyone is going to need a combined procedure,” Obagi assures. “Some may only need a peel or an easy year-long regimen.” Regardless of your skin’s needs, the doctor will start you on an at-home regimen of cleansing, exfoliating, toning, and treating. Of course, depending on your skin type, the exact products you’ll use will vary. “Tissue, no matter what you do to it, won’t respond unless we activate the cellular function,” Obagi assures. 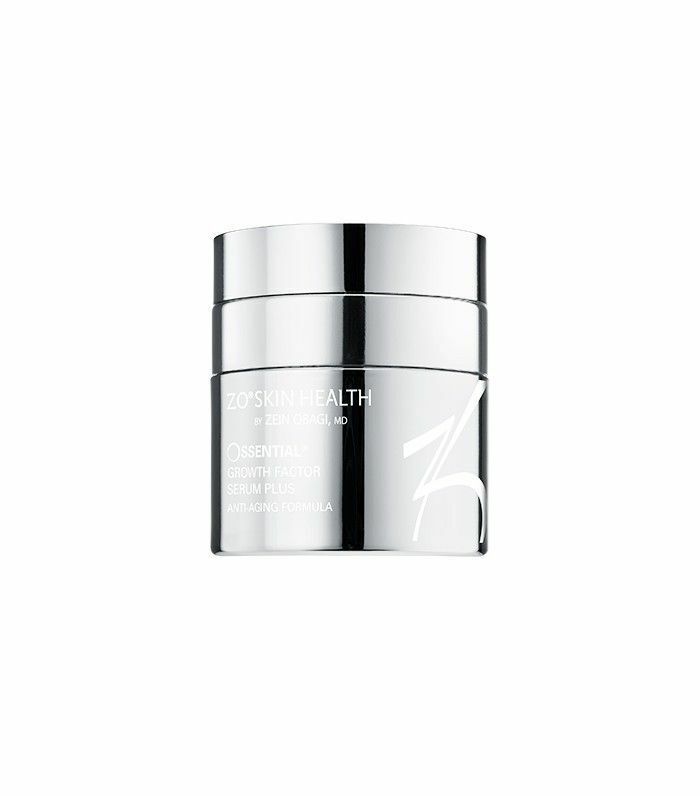 Only after activating the skin with this six-week regimen will it respond to further treatment. At this point, you can opt for more procedures. Ultimately, it’s up to you, says Obagi. Whatever your skin concerns, the doctor can customize your procedures accordingly. Then you’ll be put on a customized healing regimen for six to eight weeks, post-procedure. “Skin doesn’t have a brain,” says Obagi. “So we need to go in and control the healing process.” This might involve restoring elastin or collagen, increasing vitamin A, or some combination of these treatments. “Maybe I need to stabilize color, or maybe there is too much oil in the face, creating inflammation,” says Obagi. Obagi promises that within just a few months, your skin will be completely renewed. It comes with a price. But if you’re “aggressive” about your skin, Obagi says it’s time to stop treating it at the mall. Shop some of ZO Skin Health's most popular products below! 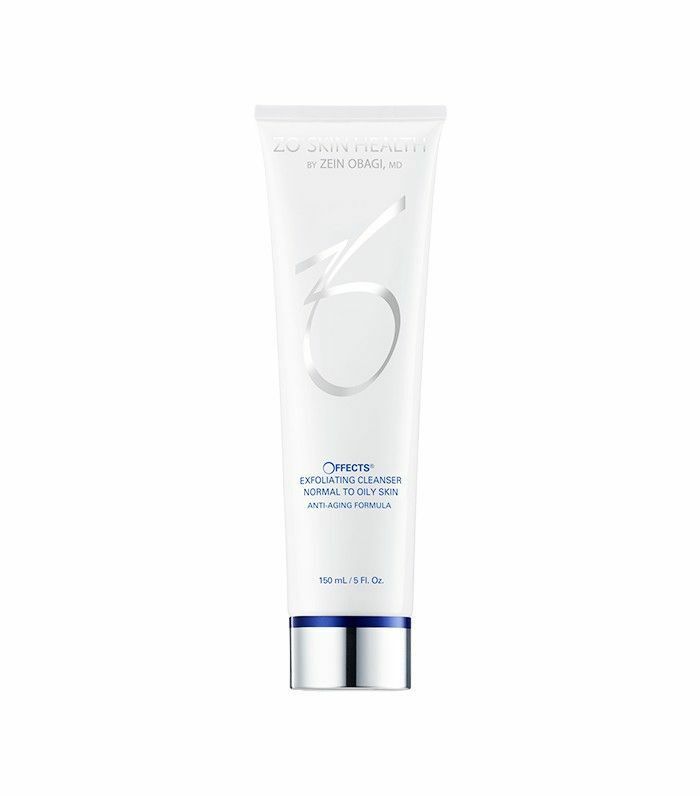 This exfoliating cleanser is intended for daily use for those with normal to oily skin. After cleansing, follow up with this exfoliant. This product contains ultra-fine magnesium crystals to remove dead skin and increase cell turnover. If you have oily or acne-prone skin, these toning pads should be the third step in your daily routine. This lightweight reparative gel works for any skin type. Incorporate this as an optional step in your nighttime routine. What do you think about the ZO Skin Health approach? Let us know in the comments below!